NEW DELHI – India’s Prime Minister Narendra Modi thanked Custodian of the Two Holy Mosques King Salman and Crown Prince Muhammad Bin Salman, deputy premier and minister of defense, for increasing the quota for Indian Haj pilgrims from 170,000 to 200,000. The prime minister also hailed the decision to release 850 Indian prisoners from Saudi jails. This was contained in the India-Saudi joint statement issued on Wednesday at the end of the state visit to India by the Crown Prince. Pulwama in Jammu & Kashmir. Affirming that the menace of extremism and terrorism threatens all nations and societies, the two sides rejected any attempt to link this universal phenomenon to any particular race, religion or culture. Both sides called on all states to reject the use of terrorism against other countries; dismantle terrorism infrastructures where they happen to exist and to cut off any kind of support and financing to the terrorists perpetrating terrorism from all territories against other states; and bring perpetrators of acts of terrorism to justice. The Indian government has agreed to increase the seats of Saudi Arabian Airlines from 80,000 seats/month to 112,000 seats/month and studies are underway to increase that number substantially, it was announced in the joint statement. Both sides also agreed to explore opportunities for cooperation in the area of payment systems including RuPAY for the benefit of Indian community in general and more particularly the Haj and Umrah pilgrims. The Prime Minister thanked the Crown Prince for sorting out the issue of iqama (residency permit) for the Indian workers who were stranded in Saudi Arabia for no fault of their own, and resolving this humanitarian issue. The Saudi leadership was also lauded for hosting a large Indian community and for ensuring their continued welfare and well-being. The two sides re-affirmed their deep commitment to cement the existing ‘Strategic Partnership’ with ‘high level monitoring mechanism by the creation of Strategic Partnership Council led by the Prime Minister and the Crown Prince, supported by ministerial representation covering the whole spectrum of strategic relationships. The two sides also agreed to cooperate in the areas of space, science and technology, including remote sensing, satellite communication and satellite-based navigation. The two sides welcomed the recent developments in India-Saudi cooperation in the defense sector, particularly in the fields of exchange of expertise and training. It was also agreed to hold the inaugural joint naval exercises at the earliest and agreed to further expand bilateral exercises in other domains. The two sides agreed to cooperate and collaborate in joint defense production of spare parts for Naval and Land systems as well as supply chain development, in line with ‘Make in India’ and ‘Vision 2030’. Taking note of the positive trend in the bilateral trade over the recent years, the two sides acknowledged the huge untapped potential available in the merchandise trade, particularly in the non-oil trade. They stressed the importance of increasing trade volume between the two countries, and eliminating export barriers. The two sides agreed on further deepening trade and investment cooperation between the two countries by aligning the Kingdom’s Vision 2030 and its 13 Vision Realization Programs with India’s flagship initiatives of "Make in India”, "Start Up India”, "Smart Cities”, "Clean India”, and "Digital India”. The Saudi side expressed its readiness to attract Indian public and private sector investments and expertise, in the upcoming mega projects in Saudi Arabia. India and KSA welcomed the key initiatives taken by both governments to improve the ease of doing business, simplify and rationalize existing rules and relax the foreign direct investment norms in key areas. Both sides hailed the positive change in investment climate after the signing of the Framework Cooperation Agreement in 2016. The two sides urged the business communities to utilize the investment opportunities in both countries, especially in the fields of infrastructure, mining, energy including renewables, food security and technology transfer, and to further consolidate cooperation in the areas of skilled human resources in information technology, electronics and telecommunications. 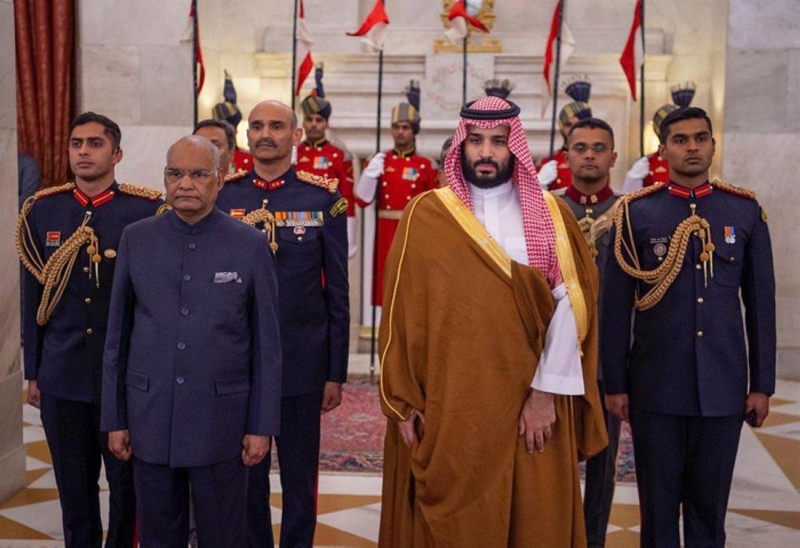 Recognizing the availability of sophisticated infrastructure and logistical services in the Kingdom’s industrial cities and ports, the Crown Prince welcomed investments by Indian companies in the Kingdom for domestic and regional market access. 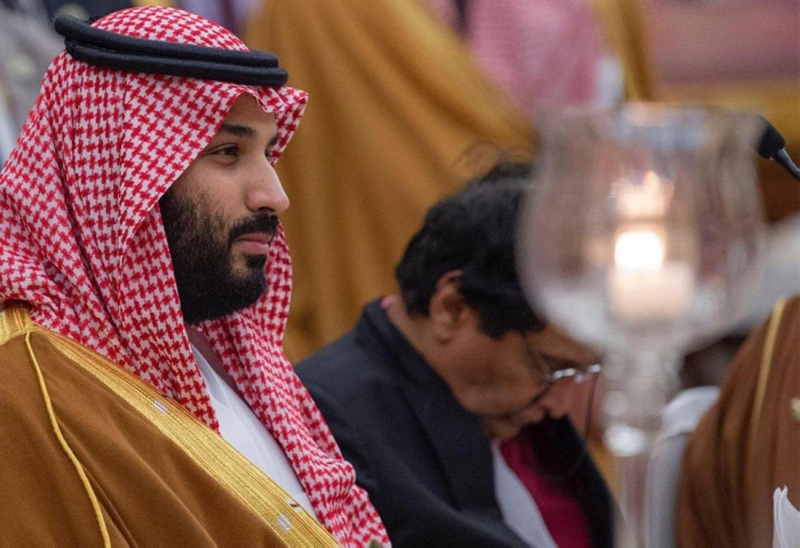 Modi welcomed the announcement of the Crown Prince to invest in the areas of energy, refining, petrochemicals, infrastructure, agriculture, minerals and mining, manufacturing, education and health potentially worth in excess of $100 billion. The two sides expressed satisfaction at the first Joint Venture West Coast Refinery and Petrochemical Project estimated to cost $ 44 billion and agreed to expedite the implementation of the project, which will be the largest green field refinery in the world to be implemented in one phase. 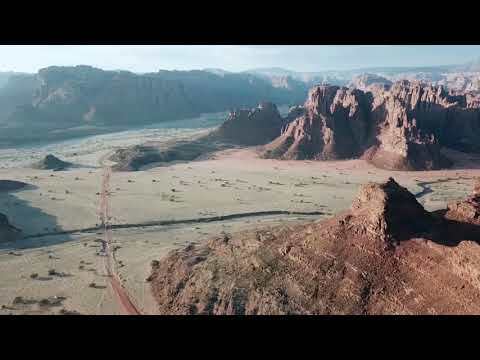 In addition, $10 billion through the Public Investment Fund and its technology partners, and other investments opportunities potentially worth $26 billion being explored. 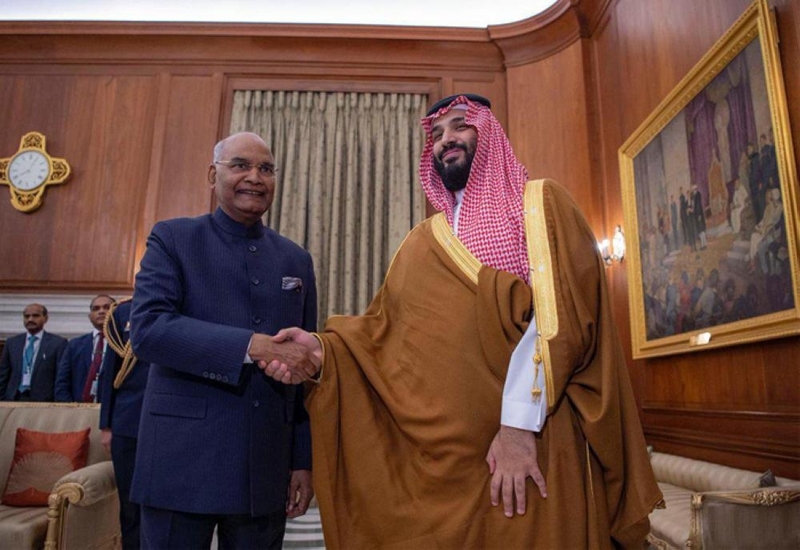 India hailed the Saudi intend to make investments in the areas of energy, refining, petrochemicals, infrastructure, agriculture, minerals and mining, manufacturing, education and health, the joint statement added.